We heard a story about two Class-A Staniel racing boats from some cruisers who participated in the rescue. On New Year’s Eve in the Staniel Cay Class-A races Lady Muriel sank, allowing Tida Wave to win. The Class-A boats are big enough for the regular crew of three and a dozen guest crew members. Lady Muriel’s entire crew was rescued safely. As the victor, Tida Wave participated in the cruising boat race on New Year’s Day. She ended up ramming custom catamaran Glory Days, leaving a four by six foot hole in her side and damaging Tida Wave’s bow. There were plenty of injuries this time. 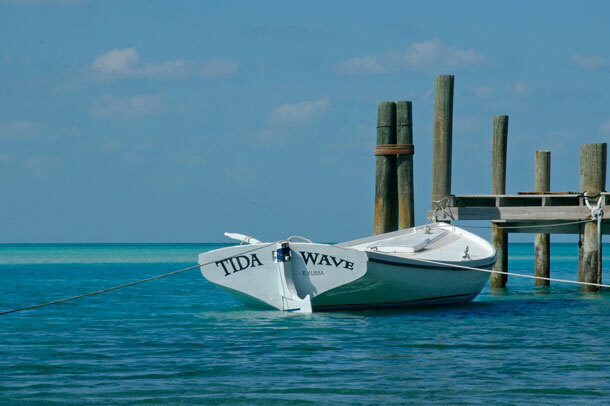 Two of Tida Wave’s crew were hurt seriously enough they had to be taken to Nassau for treatment. The crew of Glory Days was able to get her to Big Major’s Spot where she rafted beside another boat for three days to stay afloat. Then she was towed to the US for repairs. Don’t worry Mom. We are happy just cruising and have no desire to race. 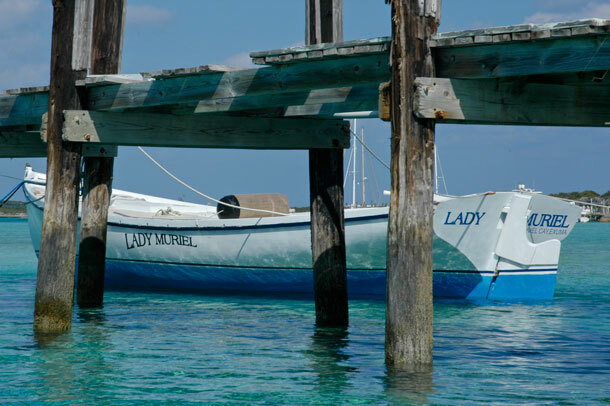 This entry was posted in Life on the Water, The Bahamas, The Exumas. Bookmark the permalink.